To compare the differences between new CF drilling sealing materials and ordinary cement, the author considered to conduct experimental research from the aspects of permeability, pore size and fluidity. Based on experiments conducted on samples simulating coal in an underground coal mine, the permeability around sealed boreholes was studied using scanning electron microscopy and low field nuclear magnetic resonance. In addition, the pores in the two kinds of grout used were studied quantitatively by mercury injection porosimetry and carbon dioxide gas adsorption. The experimental results show that the new CF seal slurry has better fluidity, average pore size, porosity and permeability than ordinary cement. This indicates that the new CF drilling sealing material has better grouting performance than ordinary cement due to its microscopic pore structure. 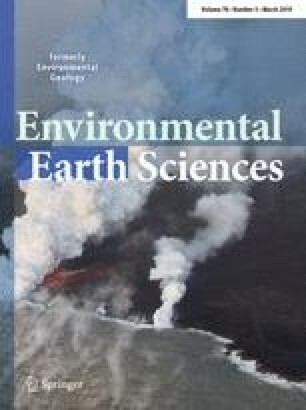 This experimental study provides a better choice of sealing material for coal seam gas extraction drilling, which can improve the sealing quality of the sealing hole, improve the extraction efficiency, avoid the emission of toxic and harmful gas, and provide guarantee for the safety production of coal mine. This work was financially supported by National Natural Science Foundation of China (Grant No. 51504189), the Xi’an University of Science and Technology Excellent Youth Science and Technology Fund Project (2019YQ3-02). We thank David Frishman, PhD, from Liwen Bianji, Edanz Group, for editing the English text of a draft of this manuscript.